So there are a lot of new "photo booth" companies out there jumping onto the bandwagon and opening shop. Believe us, we know, and while that's is perfectly healthy in the business world, they stoop down to use Groupon & Living Social to "advertise" or "get their name out there". More than once a week, sometimes even more than once per day, we get calls asking if we are running any Groupon deals or if we will match a Groupon deal being offered. We always say we cannot match the photo booth offer and that we do not and never will participate in any Groupon/Living Social type deals. In fact, as harsh as it may sound, we hate Groupon and Living Social. We are about quality over quantity, any day, anyway. They can cancel your appt at any time, (this means, if they have a client that's willing to pay full price, looks like your event date is now canceled, and now you have a "credit". Imagine that happening 1 week before your wedding/event. Money saved is now money spent. If it's a photo booth company, you may want to ask to see the actual "booth". More than likely, it's a guy with a camera on a tripod or a homemade photo booth. Let's be real..
you may get a rental, but you may have to "buy" the other options, such at prop use, or print outs, or downloadable contents. So lets begin to explain why they doesn't make sense in the business world. First, Groupon makes no financial sense for most businesses. In our case, if our normal photo booth rental price is $799 and we run a daily photo booth deal, Groupon will want us to offer it at $350. As an average consumer looking for a photo booth deal that seems OK for us as a business to get $350 for a photo booth rental. But what many people do not know is that Groupon takes on average more than a 50% cut of the $350 leaving a business with $175 minus credit card processing fees. So maybe the photo booth company will profit $150. But wait a second. We still have to pay our attendant(s) for the 4-6 hours of work, pay for the computers, printers, cameras, photo paper, other supplies, scrapbooks, pens, glue, and travel costs. In reality if we offered a Groupon deal we lose money. That is not good for any small business. Groupon sells businesses in bringing in returning customers. This is a falsity to say the least for most small businesses. In the photo booth business, 30th birthdays, graduations and weddings are usually one time events and we see few returning customers. Also, most Groupon shoppers are true bargain hunters. We field hundreds of calls weekly at our photo booth office and we notice that some people shop by price only. That is a huge mistake in our opinion. What the shopper does not know is that most photo booth companies priced way below “normal cost” are usually start up companies, that may have one photo booth that has been poorly built in their garage the previous weekend. Their below market pricing is a reflection of their desperate need for sales, any sale. Most photo booth companies offering Groupon deals are also just plain lazy. Running any small business is hard work. Advertising, marketing, and operating a strategic business plan takes work. Groupon is the easy road for most photo booth companies with little payoff. It is evident that the company running the Groupon deal had not even thought about the implications of the Groupon deal they ran until they fill their entire schedule with events that pay little or nothing and soon they go under or pull no shows, maybe even at your event. If anyone has run a small business they know how razor thin profit margins may be and Groupon or Living Social not only takes any margin away it also devalues your entire service in whatever industry you are in. After multiple start up companies offer Groupon deals for 50-65% off it devalues the entire market. In our case consumers come to think a photo booth should rent for around $300 for 5 hours. The problem with that is that if we rented our photo booths for that price we simply could not stay in business. I know every consumer wants a great price on the money they pay but they must think about the cost we have to incur in order to offer you great customer service and a great product. As a person involved in operating a small business we take pride in the stance that we will never offer a daily deal and we encourage our employees not to participate in Groupon or Living Social type deals even as a consumer. The reason being is that they flat out are not a good deal for the business and the only one who wins is Groupon or Living Social. Our final thoughts are.. You get what you paid for. High quality down loads of each photo from our website. Glad to be a part of this special breakfast event with about 200 representatives of various businesses in the AV participating. Google experts were on hand imparting their knowledge of Internet advertising and marketing. We are so thankful to be a part of Hillsong's Sisterhood event with about 500+ attendees. 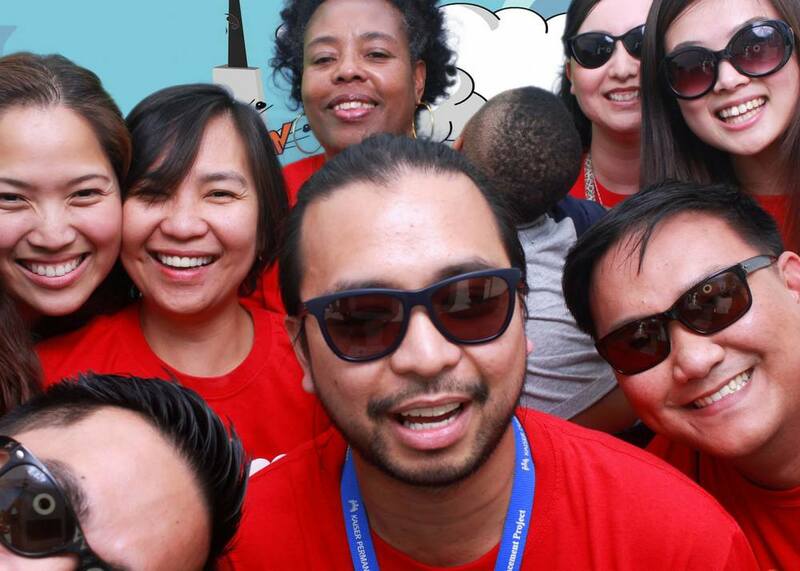 We had a blast celebrating with about 300 KP employees and their families at their annual company picnic. We loved the super hero theme. 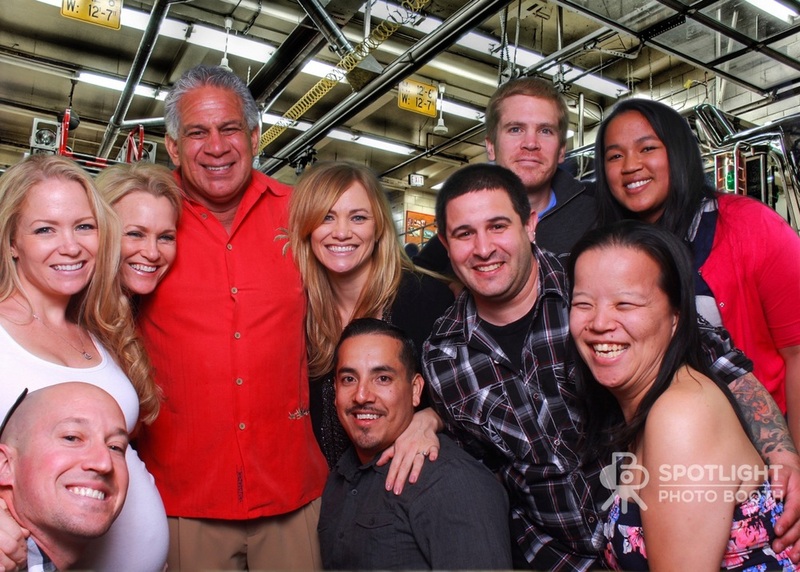 It was an honor to celebrate the 60th Birthday of Mongo at their home with about 100 of his family and closest friends. Even commercial dye-sub printers jam or fail on occasion. 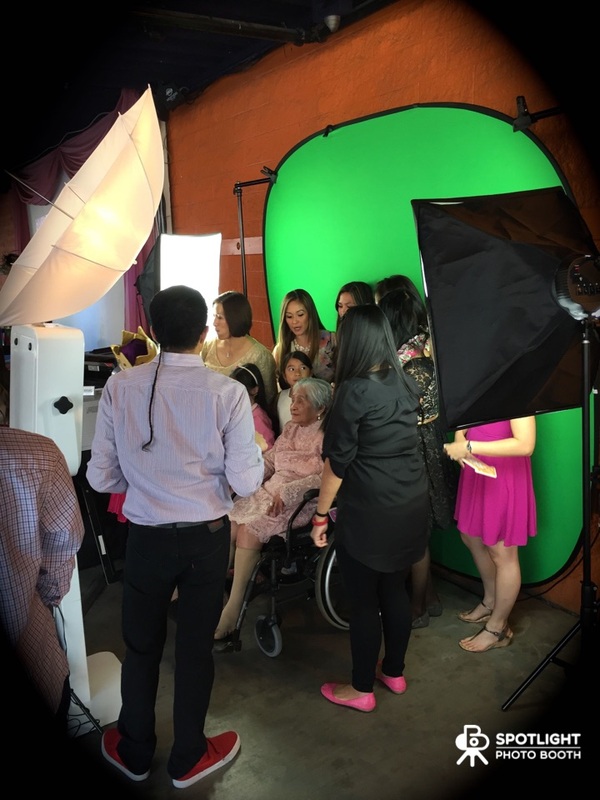 What would your photo booth company do when this happens at your event? Would you take that kind of risk on one of those once in a lifetime events? That's why we carry a spare printer all the time. All we did was swap out the printer and we were back online in less than 2 mins. We had a blast celebrating Goldie's Bat Mitzvah with about 75 of her closest family and friends at the beautiful Westlake Village Inn. 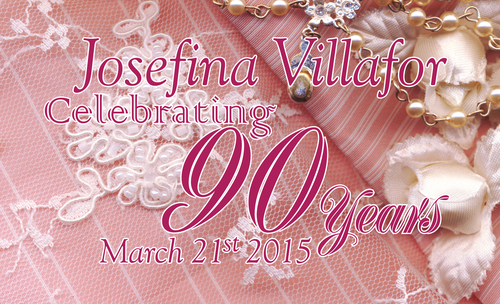 Spotlight Photo Booth was honored to be a part of this amazing celebration of Josefina's 90th Birthday. Over 275 guests were invited to this 8 hour Rustic themed party. Because our booths are ADA compliant. Josefina did not have a hard time getting in and out for photos with her family and friends. When renting do an apples to apples comparison? Remember when renting a photo booth take a look at what's provided and what's not..